A traditional Tibetan Buddhist amulet containing the essence, power and wealth attracting energies of the enlightened deity White Mahakala. Handmade and consecrated by monks, the White Mahakala chakra also bestows powerful protection, increases positive energies, and helps overcome life's challenges. A traditional Tibetan Buddhist amulet containing the essence, power and wealth attracting energies of the enlightened deity White Mahakala. Handmade and consecrated by monks, the White Mahakala chakra is very effective for gaining material and spiritual wealth, purifying the karma for experiencing poverty, and removing obstacles that block the flow of prosperity. It also bestows powerful protection, increases positive energies, and helps overcome life's challenges. The casing protects the delicate chakra from damage and keeps it dry. 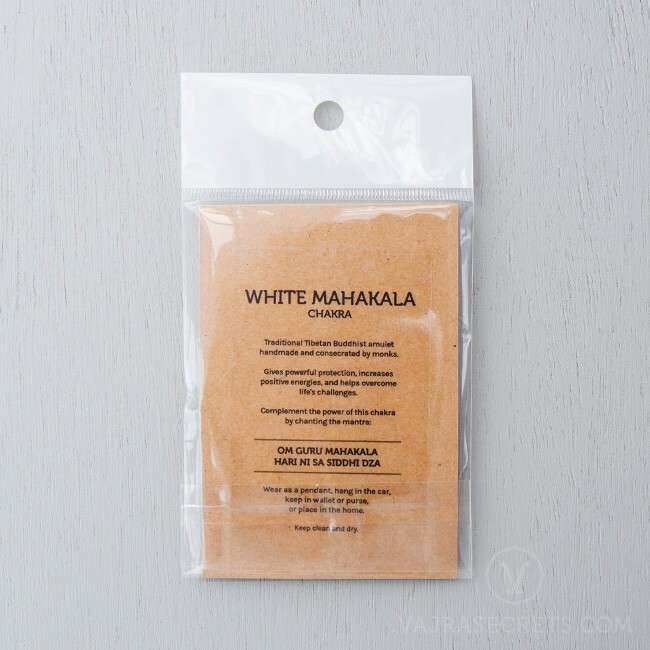 White Mahakala's is the wealth aspect of Mahakala which specifically supports the comfort and economic well-being of Buddhist practitioners. He is particularly effective for quelling difficulties and obstacles, and swiftly responds to heartfelt prayers. 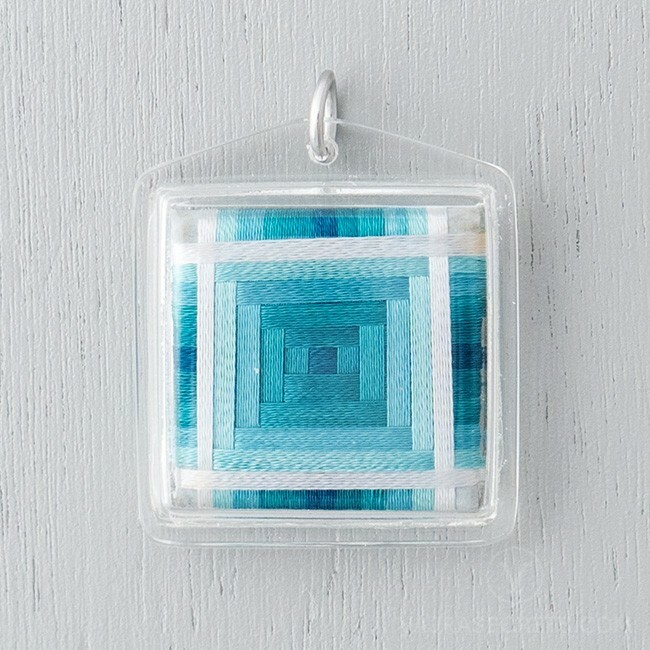 Note: As each chakra is individually handmade by monks, colours may vary from the picture shown.